Trayvon Martin makes the headlines because black men are often portrayed as burdens, rather than assets to their communities. The Knight Foundation worked with Context Partners to help change this script, starting with Detroit and Philadelphia. In talking with dozens of black males across these cities, the everyday stories of unsung heroes were uncovered—forming a shared positive identity for black men across the US. Learn how the Black Male Engagement (BMe) network was built to engage, identify and publicly celebrate black men who are giving back to their communities. These stories include Shaka Senghor and Yusef Shakur who met in prison and together vowed to change this fate for boys in their community. 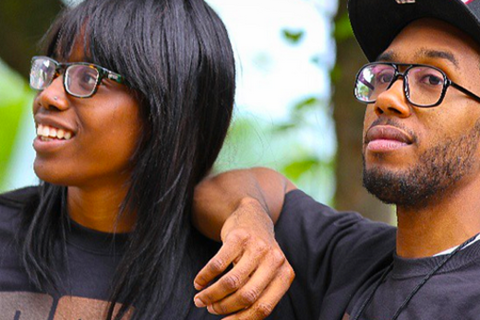 As members of BMe, Shaka and Yusef got the support they needed to scale their programs and reach more youth in underserved Detroit neighborhoods. Learn how aspirational networks are built through co-designing with your community. Charlie founded Context Partners in April 2010 with the explicit goal of supporting organizations’ ability to build purpose-driven and high-impact relationships with their communities. He brings a passion for the power of collective problem-solving and international expertise in launching new ideas, developing community-focused business models and driving executive-level organizational strategy. Since founding Context Partners, Charlie has developed and led projects for clients such as Ashoka, National Academy for State Health Policy and Nike. From 2006 to 2010, Charlie was the executive director of Ashoka’s Changemakers, where he pioneered the space of prizes and open innovation for social change, building an online community of 100,000 innovators from more than 125 countries and connecting more than $50 million in philanthropic funding. In addition, he has consulted on network-based business models for the Government of Jamaica and The Nature Conservancy. Charlie is a 2010-11 Creative Commons Fellow and serves on the board of directors for Future Generations and advisory boards for the Lex Mundi Pro Bono Foundation, RARE Planet and U.S. Center for Peace. He received business degrees from Virginia Tech and an International MBA from the University of Denver. Currently Program Director in Philadelphia for the John S. and James L. Knight Foundation, Frisby-Greenwood has served as an administrator in the School District of Philadelphia, where she directed an office designed to create a “college-going” culture in Philadelphia middle and high schools. She also served as executive director of After-School All-Stars Philadelphia and worked closely with Governor Arnold Schwarzenegger to increase the number of free after-school program offerings for low income children in 15 cities. On a national level, she served as Executive Director of Rock the Vote, where she and her team increased the number of 18-24 year olds who voted in national elections and revolutionized the voter registration process by creating on-line and telephone voter registration as well as Radio Rocks the Votes and Rock the Vote Everyday. She served as a National Urban Fellow under HUD Secretary Henry Cisneros, where she worked on policy for welfare reform, fatherhood initiatives, public housing head start, and the White House Urban Policy Report. Her passion for youth led her to co-found, Children First, Inc a former Philadelphia based nonprofit and to be awarded The Theresa Hoover Fellowship to study and support youth development and civic engagement in South Africa and an Eisenhower Fellowship to study the influence of popular culture on youth in Turkey. Shaka Senghor is a writer, mentor and motivational speaker whose story of redemption has inspired youth and young adults at high schools and universities across the nation. He is the Detroit Local Engagement Manager for BMe (Black Male Engagement. He is the founder of The Atonement Project which he teaches at The University of Michigan, and founder of the Live In Peace Digital and Literary Arts Project, He is also a recipient of the 2012 Black Male Engagement (BMe) Leadership Award. He has written six books, including a memoir about his life entitled Writing My Wrongs (www.shakasenghor.com). He is the author of the highly addictive detective series Crack: Volume 1 and Crack: Volume 2, and most recently published a book of his writings entitled Live in Peace: A Youth Guide to Turning Hurt into Hope, a companion piece to his mentoring program. He has done a number of TEDx and was a TED Prize finalist for The Atonement Project. The father of three currently resides in the city of Detroit where he is actively engaged with his community. Trabian Shorters has a long history of creating and running innovative networks for the public good. As Vice President of Communities for Knight Foundation from 2007-2013, he directed a $300M portfolio in 26 cities as well as the field-leading Knight Community Information Challenge (KCIC) which enticed over 300 foundations to experiment with funding new projects. Prior to that he led Ashoka-US, founded Technology Works for Good (Now 501ctech), and was one of the authors of the AmeriCorps national service program. As founding CEO of BMe, Trabian envisions communities where we all do better specifically because we are willing to help each other. BMe is our opportunity to build such communities - beginning with inspired black men. Trabian is a board member of DonorsChoose.org; a coach for New York University’s Program for Social Entrepreneurship; and the proud first grandson of Kennis and Irma Lee Hutchons.